If there’s such a thing as luck, Lily Harper doesn’t have it. Killed in a car accident before it’s her time to go, Lily learns that the hereafter isn’t exactly what she hoped it might be. 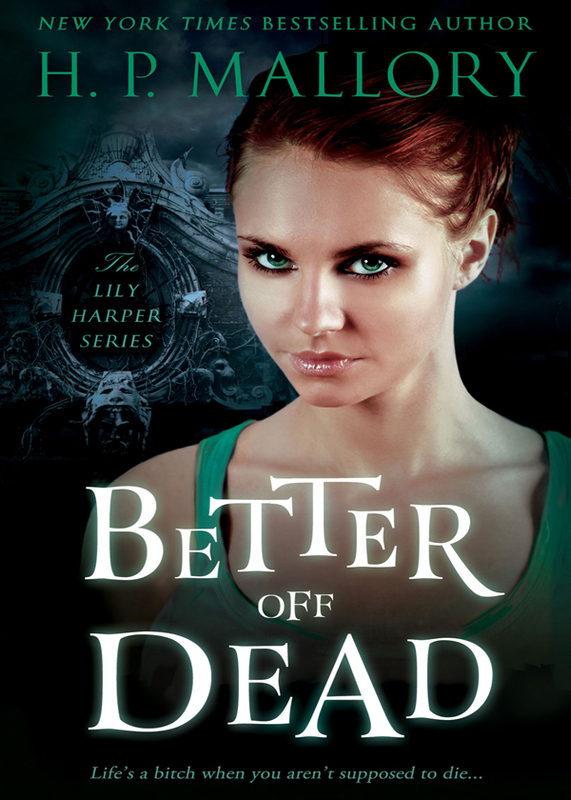 From New York Times and USA Today Bestselling Author, HP Mallory, Comes BETTER OFF DEAD, the first book in the Lily Harper series! First, there’s AfterLife Enterprises, the company responsible for sorting out the recently dead and sending them on their way to the Kingdom, (aka happily ever after,) or to the Underground City, (not so happily ever after.) Learning that Lily’s death was indirectly their fault (her guardian angel, Bill, was MIA during her accident and was one of their employees,) Afterlife Enterprises offers Lily the chance to live again. But, as with most things involving the afterlife, beware the fine print. Most notably, Lily will have to become a soul retriever, venturing into the bowels of the Underground City to retrieve souls that were mistakenly sent there by Afterlife Enterprises during a Y2K computer glitch. You can purchase the book online from Amazon or Smashwords in multiple eBook formats at https://www.smashwords.com/books/view/299640.